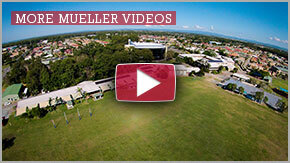 Mueller College has been developed as a ministry of Mueller Community Church. It is a part of the church vision to become more effective in outreach and service to the local community and further afield in global evangelism. The aim of Mueller College is to prepare its students for life in the world and eternity by applying Biblical principles through excellent education in a distinctly Christian environment. To present God as Sovereign Ruler of all things and Christ, His Son as Saviour and Lord, through the power of the Holy Spirit. To prepare educational programs which are in harmony with the revealed truth of the Bible and fulfil Government educational requirements consistent with this truth. To help students develop and use their God-given talents in the service of God and mankind by providing quality educational programs addressing spiritual, academic, physical, social and emotional needs. To teach students a Biblical world view, their roles and responsibilities as individuals and as members of the community. To present to students the choice they have in becoming a disciple of Christ and to help them understand the consequences of their decision. To resource the College with dedicated Christians, committed to the Mission of the College, who, through professional skills and spiritual gifts, influence and encourage students and the wider College community in the ways of God and recognise the role of faith in their ministry. 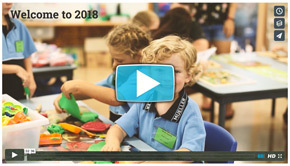 To support families in the role of raising their children and to encourage them to be involved in the life of the College. To create an educational environment which encourages students to learn of God and respond to Him in love and obedience. To encourage the College community to be active participants in their local Churches. THE BIBLE The Bible is the inspired word of God, and is the sole authoritative guide in all matters of Christian faith and practice. GOD The Godhead is a Triunity of Persons, Father, Son and Holy Spirit, of one essence, “acting in complemental, counterpanal being and life”, eternal and infinite. MAN God created man in His own image and likeness. Man failed to obey God so that sin entered the human race, separating man from God. Fallen mankind is not able to save himself and remains in this state under Satan’s dominion until receiving spiritual life through Christ. SALVATION God, in grace, made it possible for man to be brought back to Himself, by sending His Son, Jesus Christ, into the world. Born of the virgin Mary, through the power of the Holy Spirit, true God and true Man, He was sinless in every respect. By His death and resurrection, He is able to save all who believe in Him. THE CHURCH The Church is the company of all true believers, formed by the Holy Spirit into one body, of which Christ is the Head. THE LOCAL CHURCH There are local expressions of this body termed local churches. The ideal is that they all come together on the common ground of faith in Christ for praise, prayer, worship and witness. CHURCH ORDINANCES Baptism and the Lord’s Supper are two ordinances of the Church. Baptism is that of believers only and by immersion. The Lord’s Supper is commemorated by believers in the breaking of bread, emblem of Christ’s broken body and drinking of wine, emblem of Christ’s shed blood until His second coming. THE SECOND COMING The Lord Jesus Christ will return as Lord, King and Judge.